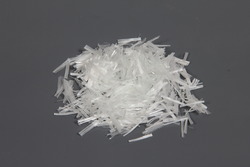 FF Fibrillated Fiber is a fibrillated polypropylene micro-fiber for concrete reinforcement that complies with ASTM C 1116, Standard Specification for Fiber Reinforced Concrete and Shotcrete, and is specifically designed to help mitigate the formation of shrinkage cracking in concrete. Typically used at a dosage rate of 0.9 kg/m3, FIBERCRETE fibers have been shown to greatly reduce shrinkage cracking by as much as 88% when compared to plain concrete. FF Fibrillated Fiber can be added to the concrete mixture at any time prior to placement of the concrete. It is generally recommended to add any fiber material at the ready-mix concrete plant during botching. Fibers must be mixed with concrete for a minimum of three (3) minutes at maximum mixing speed to ensure complete dispersion and uniformity. Dosage of usually 75grn \ 25Kg of Cement or 900 gm per cubic meter of concrete. Packaging Details: As Required for End Use . 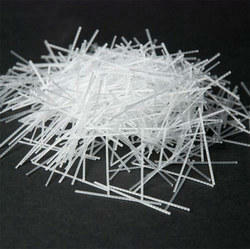 Looking for Polypropylene Fiber ?